This was my last full week of training for the Iron Horse Half Marathon. The race is on Sunday, the 16th. This also happened to be my longest week mileage-wise and I felt it! I was pretty fatigued by the end of the week. That could have something to do with my long, stressful work week as well. 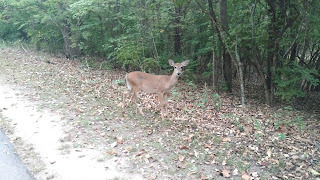 This deer let me get really close and watched another girl run right past it ahead of me. Back to River Park for my tempo run. I actually hadn't done a tempo run for 3 weeks! One week I was just taking it easy to be sure I hadn't injured myself when a mystery bruise appeared on my right knee. The next week I was tapering for a 100 mile horse ride, saving my legs and energy for that and that didn't happen. So I wasn't sure how 6 miles would go. I was prepared to back off and only do 4, but then I decided I'd just go ahead and do the 3 miles out and if I had to, I'd just have to walk back any amount that I couldn't run. It was very nice weather at 73° and I'm sure that helped me a ton. My usual tempo run pace is 12:36. This time I decided to try to do very gradual negative splits, speeding up with each mile. So I started at 12:40 for the first mile and sped up 5 seconds every mile. I actually hit my target paces, even though there was a little more elevation than I'm normally used to for my tempo runs. By the time I went 5 miles, I decided to pull out the stops and turned in 10:52 for the 6th mile! I was rocking it and it was getting dark and the park technically closes at dark, so I ran for an additional 0.20 miles at an pace of 9:11/mi! I was super stoked. Maybe I can do speed intervals after all! It's fun to go faster. :D I just don't know how I'll squeeze them into my marathon training. There just aren't enough days in a week! Maybe I'll do an 8 day rotation or something. That wouldn't be confusing at all?? Well, I digress. Tuesday was on the treadmill. 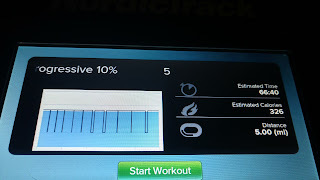 I did my progressive 10% workout where the run/walk ratio remains the same, but each run/walk interval gets 10% longer than the last one. Keeps things a little interesting. Seems like I actually slow down per mile, though. Seems odd, but overall it works out. A turtle I saw at the end of my run. That's right. I hit my target exactly for my 12 mile run!!! Super stoked about that one. To actually hit my exact pace target was an amazing feeling. 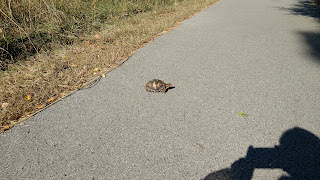 I headed back to the Stones River Greenway. I parked at the Old Fort trailhead. I decided to basically do the same run I did last week, but add a jaunt to Cannonsburgh Village to get my extra 2 miles. Unfortunately, when I got to the railroad crossing, there was a train stopped on the tracks! And didn't look like it was moving anytime soon. That left me with over a mile to add to my run to get it done. When I reached the General Bragg trailhead, I crossed the street and ran around the path by Gateway Island to get my extra mile. Then up to Stones River Battlefield. Finally, I ran back to my truck. My mile splits were a little off. In fact, only one of them was spot on at 13:29. I could have been a little more consistent to make me happier, but they weren't too bad and it all came out in the wash. My slowest mile was 13:56 and my fastest was 13:14. 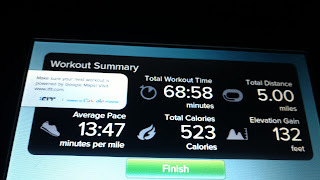 I did feel good enough to run a bit faster my last mile, but I decided to stick to pace and not push it. The run started a little cool, but warmed up so it was about 75° by the time I got done. My fueling strategy was to take a gel (caramel machiatto is my fave!) at the start, 3 bloks at 45 minutes, 3 more bloks at 1.5 hours and a final gel at 2 hours 15 minutes. I carried my Nathan soft flask handheld and refilled it at the various trailheads along the way, including the Stones River Battlefield visitor's center which has the best water fountain. One of my most favorite things about this (mostly) paved trail is all the places I can get water so I don't have to carry a ton of water with me. I was slightly sick to my stomach on the way home. I'm starting to get into the realm of my longer runs and it's showing. I only ate 120 calories before I left the house. I think I need to eat a bit more than that for my long runs so I'm going to add some grits next time. I may also need to up the amount of calories I'm taking in during the run or alter the form somehow. Overall, it was a very satisfying run. It was also great to know the bulk of my miles for the week were behind me! A repeat treadmill workout. Same thing I did on Tuesday. 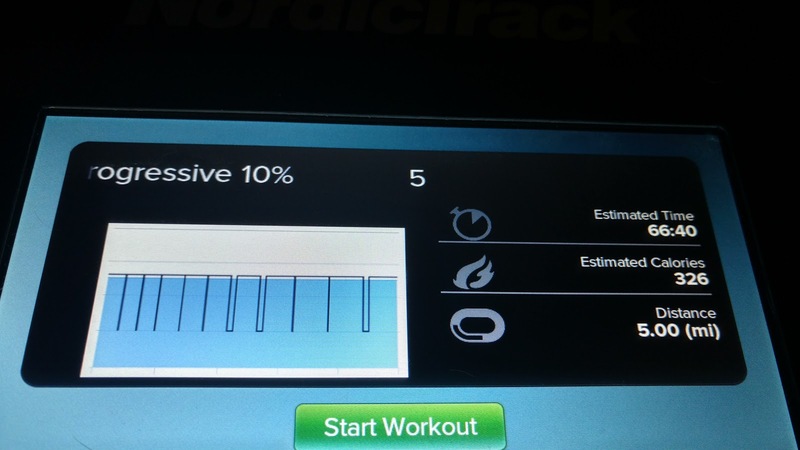 These runs are somewhat annoying, but I really get to just chill and let the treadmill control the pace. All I have to do is run or walk and watch tv on my tablet. This time, I actually spent the first 20 minutes looking through pictures on my tablet that were taken at my endurance ride that never happened. I found a nice picture of me and my horse, so I bought that. All while I was doing my run. It's funny the things you find you can do when you want to. I usually do my hill workouts near my house because it's convenient and a really good training hill. 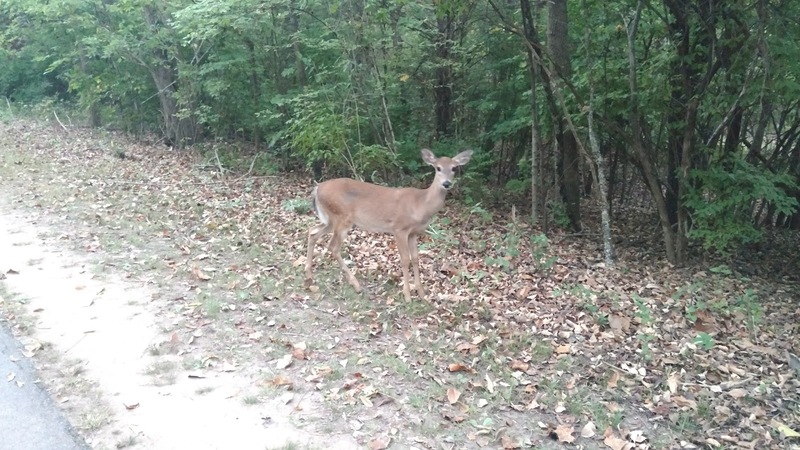 But this day, I ended up in town for an unscheduled reason and I decided to head to Percy Warner Park to run the red trail (Mossy Ridge loop). The times I've run this, I usually park at the Nature Center and run the connector trail over to the red trail, but this time I parked at the Deep Well Trailhead and ran from there. It was pretty perfect mileage and about 130 feet more of elevation than my usual hill run. A good alternative! I felt really, really fatigued on this run. My legs weren't heavy. I was just really tired. Like I could lie down off trail and sleep for hours on the rooty, rocky terrain. I ended up taking a gel around the first mile and I think that helped, but I was still super tired. It was warm at 85° so that didn't help. 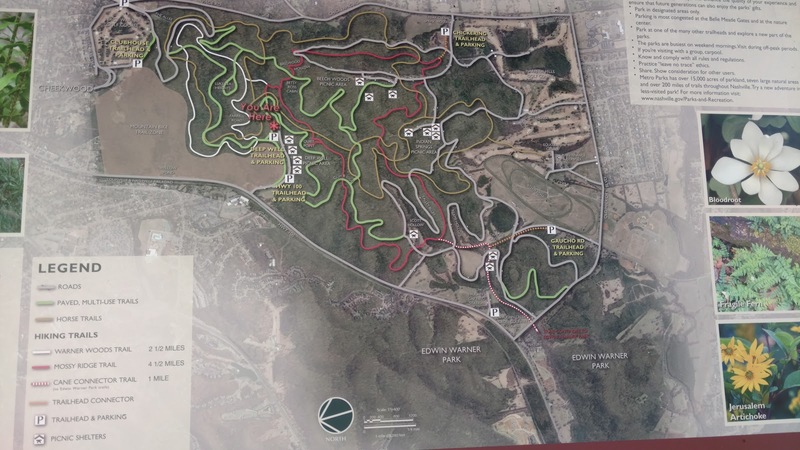 That trail definitely kicked my rear and reminded me I have so much room to grow in my fitness. 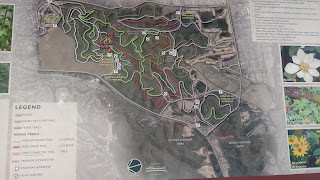 My normal hill run is on pavement, so I can really pick up the speed downhill and make up some time that I lose on the uphills, but this trail is all trail and some of it pretty steep, so I can, at best, shuffle down some of the hills. I definitely had to remind myself that this is a harder hill workout than I'm used to AND my hill workouts have no pace target! It's about doing the miles the best I can, not the speed at which I do them. Taper week! 3-4 light workouts of no more than 3 miles each. The race is next Sunday!! Due to driving back from the race, my next blog post will probably be late.